Today is the day my new capsule begins. 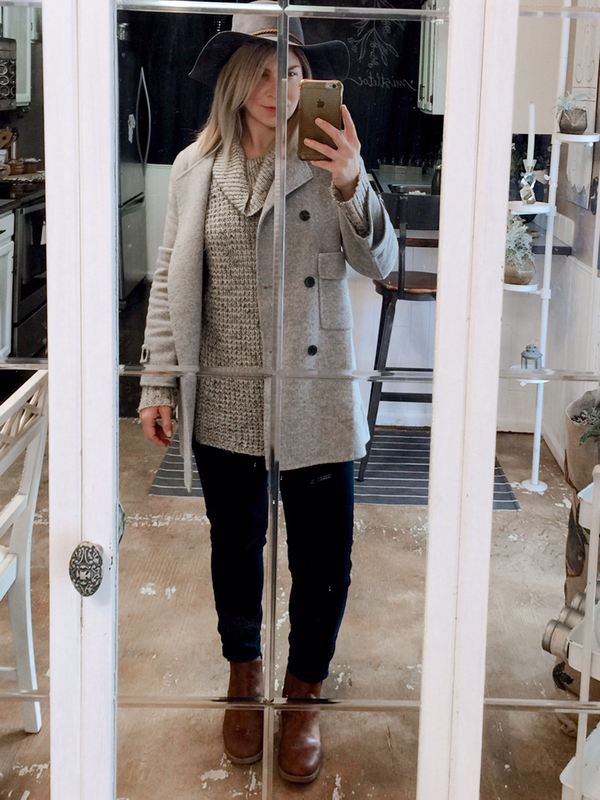 A spring capsule wardrobe? There's not really a perfect spring capsule for Colorado because it's snowing buckets one day and 70 degrees out the next day. I'm going to do my best though. My spring capsule goes from March-May. Don't spend money on distressed jeans with any holes bigger than my fist. Second time doing that and they will have to be turned into shorts. The hole is now basically my entire left leg coming out to play. I love Poshmark. A lot of great finds that aren't carried in stores any longer and for reasonable prices, such as my Sam Edelman over the knee boots and my Free People slip skirt. March goal? Get some of my wardrobe in my "Posh Closet" available for purchase. I did much better this season with the planning process. When planning my capsule, I come across so many cute styles that fit my look but..... This time I got real with the fact I am a size 10-12 and I prefer to spend the majority of my time in sweatpants. I did better at blending the looks I love with the body and life I live in. I need new mirrors in my house for selfies. Better yet, I need to make it a priority to shoot my wardrobe with a real camera. Spanx makes jeans and they are genius. Even though I keep my capsule at 37 items to include shoes, bottoms, tops, dresses, and outerwear, I really only wear a third of it on a regular basis. How can I downsize and simplify even more? Accessories are my friends. I want to focus more on getting a few more fantastic accessories and simplify my everyday wear even more. The typical capsule wardrobe doesn't limit accessories, pajamas, work out clothing, lingerie, etc. I think I want to downsize and simplify these as well this season. That's it for now friends. Stay tuned for spring capsule... my mission? I'm not going to buy anything new this season!